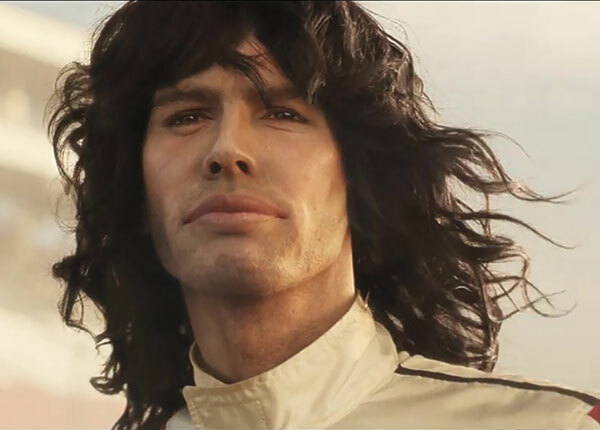 Steven Tyler finds fountain of youth in Kia's Feel Something Again"
The fountain of youth flowed to Tyler from talented visual effects masters at The Mill who deployed a little CGI magic. In order to give the rocker his youthful look, The Mill’s artists reconstructed his face entirely in CGI. First, a scan was taken of his body to give the artists a base to work from. Then came the sculpting process, where the artists filled in muscle, fat and cartilage to essentially reverse the effects of time. They also matched the look of certain features such as his lips, eyebrows and cheekbones, drawing reference from older footage and photos of Tyler from about 45 years ago. The visual effects team also captured Tyler’s acting on set, drawing from his bodily response and mimicking his facial emotion for the CGI version of him. If you look closely toward the beginning of the commercial, a quick shot of a black and white photo of Tyler appears. This actual archive photo from back in the 1970s was used as a crucial reference—not only for the visual effects artists, but for the audience to take note before the big reveal. The contingent of Mill talent included executive producer Pete King, producer, Hillary Thomas, production coordinator Vanessa Yee, shoot supervisor/creative director/art director Robert Sethi; shoot supervisor/2D lead artist Tim Rudgard, shoot supervisor/3D lead artist Jason Monroe, 2D lead artist Steve Cokonis, 2D artists Daniel Thuresson, Lisa Ryan, Jeannie “Remedy” Huynh, Benoit Mannequin, Lior Weiss, Jason Bergman, Ed Black, Ashley Forbito, Chris Hunsberger, Kai Chun Tsai, Krysten Richardson, Glyn Tebbutt, Daniel Lang, Elliot Brennan, Ian Blewitt, Adrian White, Adam Lambert, Matt Dobrez, Stefan Smith, Tom Van Dop and Yukiko Ishiwata, 3D artists Chris Bayol, Cory Cosper, Nole Murphy, Omar Taher, Brian Lee, Benjamin Chan, Danny Garcia, Freddy Parra, Jae Jun Yi, James Robinson, Jinguang Huang, Alice Panek, Elizabeth Hammer, Jeremy Ramirez, Steven Olson, Dan Warom, Michael Lori and Ed Laag, matte painters Rasha Shalaby, Andy Wheater and Marissa Krupen, animator Jacob Bregman, colorist Adam Scott, color EP Thatcher Peterson and sr. color producer Liza Kerlin. The Mill’s toolbox on “Feel Something Again” included Flame, Nuke and Maya. David&Goliath’s creative ensemble included chief creative officer Bobby Pearce, founder/chairman David Angelo, executive creative director Gustavo Sarkis, creative directors Basil Cowieson, James Cohen, John O’Hea and Courtney Pulver, writers Mark Monteiro (and Steven Tyler), director of broadcast production Paul Albanese, executive broadcast producer Curt O’Brien, director of digital production Peter Bassett, digital sr. producer Justine Kleeman, sr. art producer Cara Nieto, and chief strategy officer Wells Davis..
Alwin Kuchler was the cinematographer. Editor was Grant Surmi of Exile. See the March 2018 Top Ten VFX and Animation Chart here.